I liked Greg Land before his motto became "light-box or die!" Those Birds of Prey are very good, and if he was light-boxing, he wasn't anything close to being as obvious about it as he is now. It helped that his model for the Sojourn book looked =exactly= like my wife. Yup. She's a good archer, too. I don't think I can begin to convey how much I loved this comic book. It was probably the first time I felt like I was getting in on the ground floor of a Marvel series. 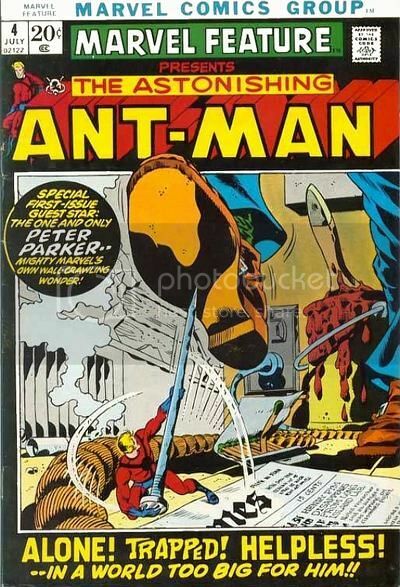 Even though it was a revival of sorts, I'd never heard of Ant-Man, but this comic was completely irresistible to me! Roy gave us a recap of Hank Pym's complicated history, which really intrigued me--Giant-Man, Goliath, Yellowjacket? One hero with four identities? Unheard of! And then the action begins, sending Hank into an unlikely but enjoyable adventure that ends with him stuck at shrunken size and presumed dead! The idea of a super-hero trapped at a height of a few inches, cut off from everyone he knew--well, I'd seen "The Incredible Shrinking Man," so I realized it was a take-off on that premise, but that was already one of my favorite movies, anyway. 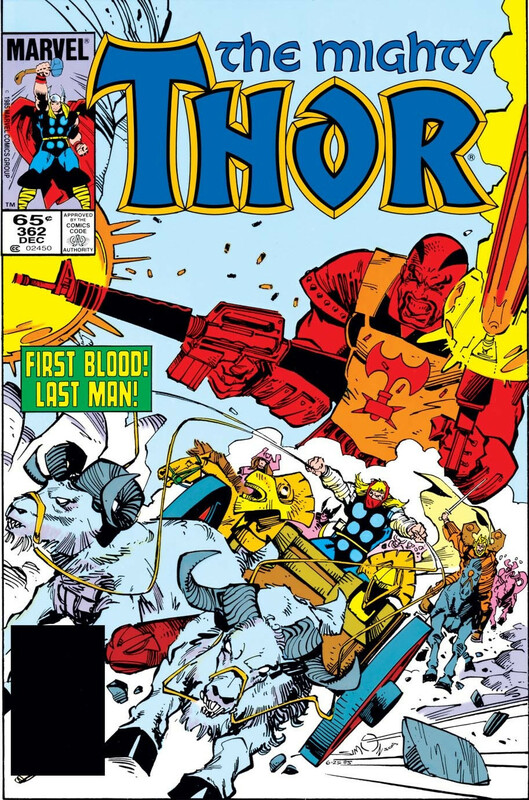 I loved the costume, the helmet, and especially Herb Trimpe's artwork. Falling in love with this art made me very resistant to the occasional trashing of Trimpe that some comics fans would later engage it. I think Trimpe was ideal for this character, and he really showed off his talent in this one. Thanks to this, Hank Pym quickly became one of my favorite comics characters. I still can't believe I'll be seeing Ant-Man in the theaters next year! As I noted in my 2005 write-up, when I managed to obtain copies of this 4-issue arc (of which #363 is the first), I was truly floored to see that these were only 13-pagers; Supergirl strips rounded out the comics. The thought of how many months, pages & issues such an epic story would be stretched across today borders on the mind-boggling. I love how even the cat is scared of catching Virus X! I think it was the Frank Brunner cover that caught my eye - it was Brunner's and Englehart's Doctor Strange #4 that had instigated my second wave of comic book reading a few months earlier and I was old enough now to have begun following writers and artists as well as series and characters, and I had already become a fan of both Brunner and writer Steve Gerber in that short time - Brunner from that one issue of Doctor Strange and Gerber from The Defenders and Man-Thing. I hadn't yet seen any of the earlier HtD appearances in Man-Thing - at the time I had only read the last issue of that series and a few of the very earliest in Adventure into Fear - so he was a completely new character to me. 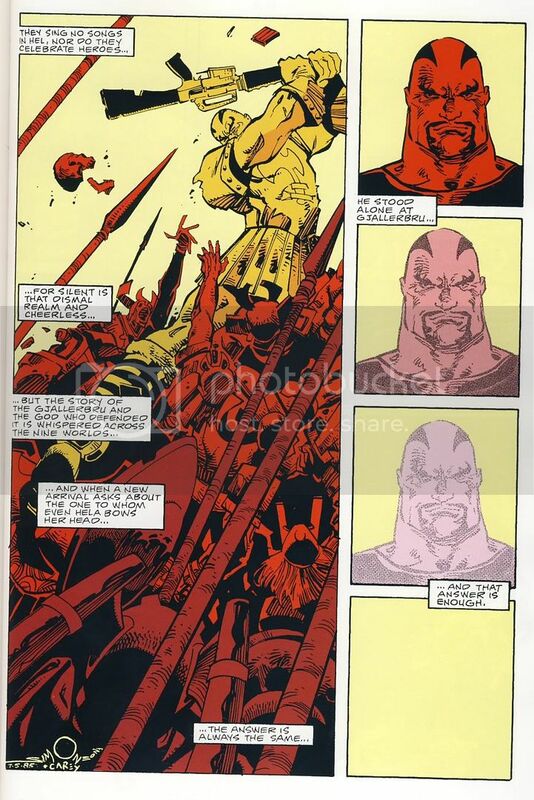 But I was immediately captured by Brunner's artwork and Gerber's storywork, to coin a term. I don't know if I was at just the right stage in my personal devlopment or what, but I seem to have been particularly susceptible to the quest motif around then - a few weeks later I read The Hobbit, and in some strange way that book and HtD #1 are forever linked in my mind. I haven't re-read this for decades so I can't say much about the details of the writing or art, but I'll just add one more bit of reminiscence: I can't recall what day of the week new comics came out back then or onto which day of the week Bonfire Night fell that year (1975), but I remember buying it and bringing it home on Bonfire Night. Back then you were allowed to have a bonfire in your own backyard and we used to have one every year, and I have a vivid memory of walking home from the store in the dark with my new comic and standing around the bonfire in our backyard for awhile before going inside to read it. I don't know why this seems important to me - maybe because Bonfire Night as I remember it died out a few years later in Nfld after they started to regulate it more strictly. Maybe because standing or sitting around a fire in the dark and chilly air of an Autumn night resonates with some atavistic or ancestral race-memory or something. Maybe because, like a lot of comics fans and readers in general, I was a bit of a lonely, withdrawn kid who hated attention, and standing around the fire on Bonfire Night was one of the few times I felt able to partake comfortably in some kind of communal or family activity, probably because it was dark and everyone was looking at the fire. Or maybe it's just one of those inexplicably vibrant mental images you sometimes retain of apparently trivial incidents, I dunno. 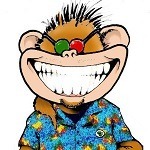 Most likely a combination of all that and other factors I'm not aware of, plus the fact that Gerber was already beginning to be an important figure in my formative mental landscape and in later years became even more so. There may have been better written and better drawn issues of this series - the Colan/Leialoha team that eventually took over the art chores created some of the best artwork I've ever seen in comics, and Gerber produced some of his most adventurous work in subsequent issues - but this first issue is the one that carries the most emotional weight for me, and hence its inclusion in my list. Meanwhile, Devin Grayson's Gotham Knights delivered solid character work, Dixon was doing fine work on the titles of all the side characters, and there were some good Legends of the Dark Knight stories going on. The only title I wasn't loving was Batman itself, by Ed Brubaker and Scott McDaniel. However, my boss was loving it. He kept singing Brubaker's praises, while slipping in that Brubaker lived in the area and occasionally popped by the store. An important side note is that I was also loving the work of Brian Michael Bendis on Ultimate Spider-Man at this time. We'll learn more about Spider-Man on a later day. This is all the story of how I discovered crime noir comics: I followed the writers I liked from superhero comics to their other works. My love of Rucka's work led me to Whiteout, the story of the sheriff of Antarctica investigating a murder. 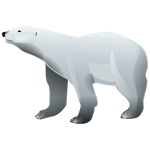 (Which perhaps inspired the excellent modern crime thriller HIgh Crimes about a murder on Mt. Everest) Following Bendis took me to Goldfish, the story of a small time con man in a battle of wills with a major crimelord to rescue his son. And, at the urging of my boss, I picked up a Brubaker work, Scene of the Crime, with Michael Lark and Sean Philips. To this day, Scene of the Crime has defined crime noir comics for me. All are judged against it. My love of noir comics has been unabated for 15 years. It has led me to Road to Perdition, A History of Vioence. 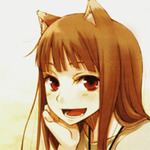 Murder Me Dead, and countless others. 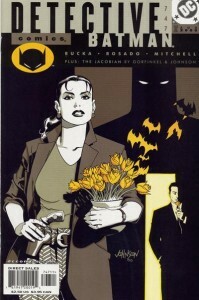 And I still hold a fondness for Brubaker, Rucka, and Bendis, my first crime noir writers. Even though all of them have written plenty of crap in the superhero genre. Bendis convinced me to stop reading Avengers. Brubaker's X-Men were unreadable. Rucka has a litany of DC superhero sins. But at their best, I still love them all. To this day. I just recently read Velvet, Brubaker's new spy thriller with Steve Epting. Rucka's Lazarus, about a post-apocalyptic crime family, remains intriguing. I wish Bendis would let go of superheroes and get back to what he's good at. But I guess there are bills to pay. 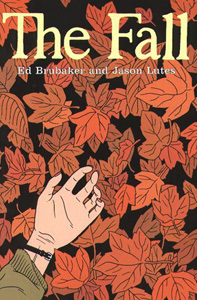 My noir representative chosen for this list is Brubaker's The Fall, with the legendary Jason Lutes. A 48 page comic I was lucky enough to snag on the newsstand. I hear it can be tricky to track down these days. I learned in the making of this list that it reprints material originally in Dark Horse Presents. The Fall begins with a crime, and the type of crime that intrigues me, because it seems so innocuous. Not so far removed from possibility for people you know. A guy finds a credit card and decides to buy a couple things with it. It almost seems a victimless crime given credit card fraud protection most people have. It's almost easy to rationalize as not to different than finding cash on the street. But the comic is about the path sins lead you down. And what seems mundane and simple leads the perpetrator down a path, with old secrets to uncover. By the end, he'll wish he'd returned the credit card. The Fall is a great book. I had encountered Bru on Bats and Lute son Berlin when I stumbled across it in a back issue bin in '99-'00 or so and remember just being blown away by the book when I read it. 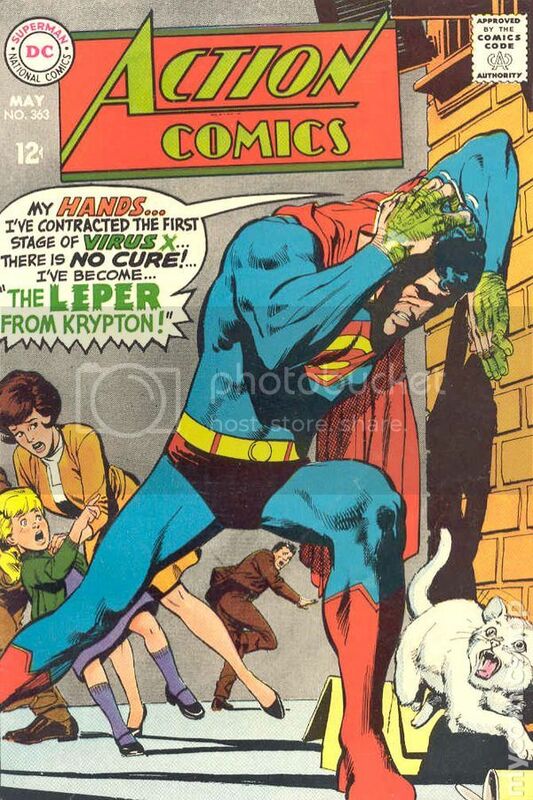 Superman #287-my first Superman comic and my first exposure to the Super-Pets. 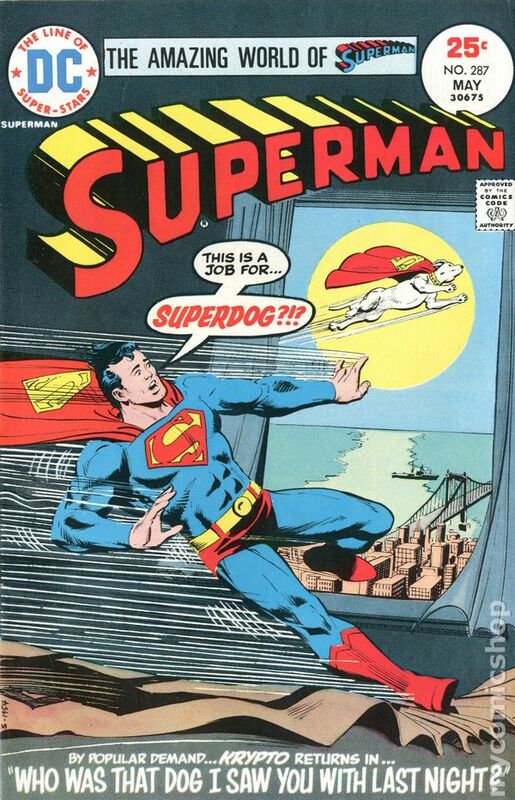 To five year old me who always wanted a dog but couldn't have one because of allergies, this was the greatest comic book ever....another I reacquired in 2012 when I returned from my hiatus form comics. 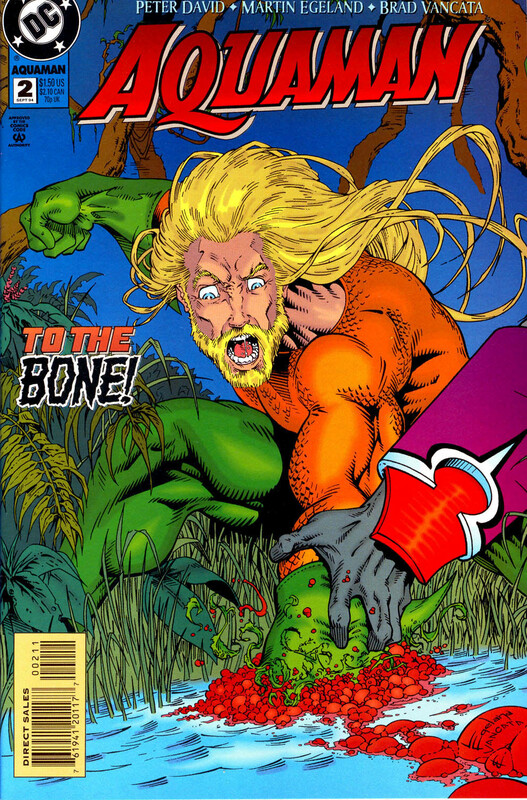 Plot: Aquaman loses his hand to Charybdis. So you'll note this is about 2 years after 2099 started... I made not-quite weekly trips to the LCS at that time, but no pull list... if I missed something, I'd try another store (there was a video rental place also in walking distance that sold new comics), or be sad. 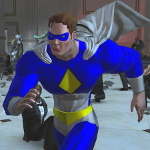 For whatever reason, I had decided DC was bad.. I thought they were all cheesy, old timey stuff. When I saw the cover, and saw Peter David was the writer (who wrote Spidey 2099, of course), I gave it a shot.. assuming the cover was hyperbole, but curious none the less.. imagine my surprise when I read it! It lead me first to reading that, then going back and reading the reign of the Supermen, and then into Vertigo. This might be the most shocking thing to ever happen to a mainstream hero. Made my shortlist at #19. I'll have to post 20 - 11 on the regular board page this weekend. 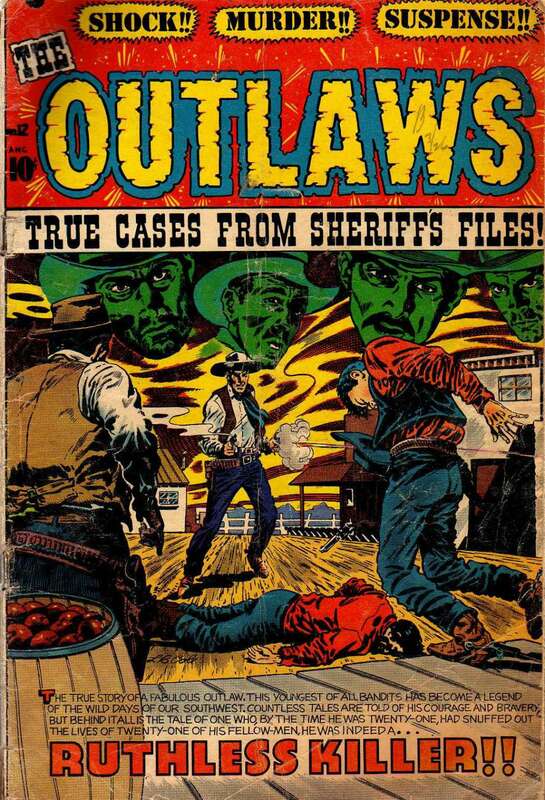 On the fourth day of Christmas, my collection gave to me...4 green-faced gunslingers! This comic comes with a thank you attached...a thank you to pmpknface for first mentioning and showing off one of his covers that the great LB Cole did. It was probably back on the old CBR forums when I first saw one of LB's covers and I was blown away. Ever since, I have dreamed of owning one...just one...but they always seemed to darn expensive. While I still am hopeful to get one of his iconic horror covers (a Weird Tales or Startling Terror Tales would be a dream), owning the above issue tickles me to no end. I was elated when I won it on ebay (for a mere $20 too!). Just the colours along are worth it. Again, it makes the list for that reason and would be part of my dozen that I would want to always have with me as a representative of the golden age of comics! As a kid, I read a BUNCH of comics, but 99% of those were done-in-one stories, or if I did get part of a multi-part story, it was very rare of me to get all of it. 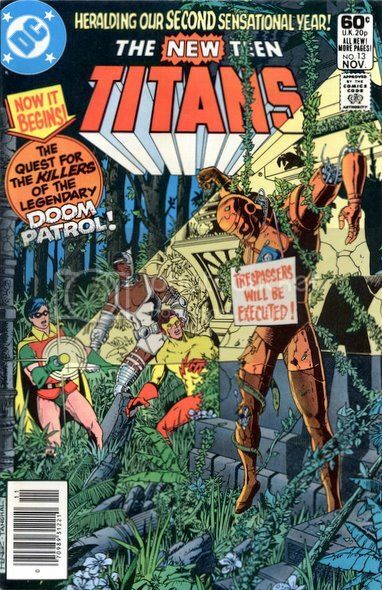 The turning point for me was Marv Wolfman and George Perez' 'New Teen Titans'. Murray Comics reprinted the whole thing from the beginning, and it was really the first serial comic I read continually from the beginning. The issue I'm choosing from the run is #13, "Friends and Foes Alike", from November, 1981. Growing up, The Doom Patrol were kind of tantalizing to me. You'd very rarely find a B&W reprint dedicated to them, so they usually ended up as filler material shoved in the back amongst stories featuring Rose and the Thorn or The Sea Devils. At first, I instinctively hated them. They had the word 'Doom' in their name, so naturally, as a very little kid, I assumed they were bad guys. They certainly LOOKED like bad guys, and the enemies they fought were weird and freakish (and considering the DP themselves, that was SAYING something!). The Teen Titans were similar in many ways. I had always LOVED the idea of a team of sidekicks, but again, you'd rarely read much more than an issue here or there shoved ignominiously between Jimmy Olsen and Rex the Wonder Dog, but even then, they didn't really live up to their promise. When they weren't screwing up because they were a bunch of impulsive teenagers (only to receive a stern talking-to for their troubles), they were calling each other by dumb, cornball nicknames and solving cheesy murder mysteries. As someone who grew up reading about the Legion of Superheroes - a teenage superteam who fought Universo and the Fatal Five - a jilted ex-boyfriend or resentful ski-lodge employee was quite a come-down as far as a Rogue's Gallery went. Anyway, I'd been reading the New Teen Titans and was digging it. As far as my 10 or 11 year old brain was concerned, it was super hip and modern and the cutting edge of superheroes, but then all of a sudden... There's Robotman, from those weird comic stories I remember kinda vaguely freaking me out as a really little kid. It was like crazy brain alchemy... two things that were very separately suddenly coming together inside my head in a way that REALLY freaked me out... in a GOOD way. If I wasn't hooked already, this story made sure I never let go. What a great cover. Good to see you catching up.